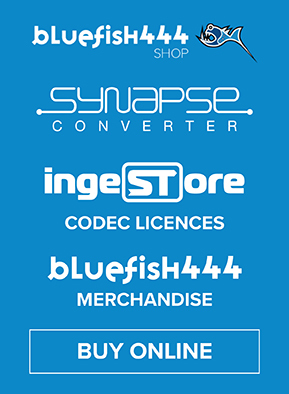 North Melbourne, Australia, April 1, 2019 – Bluefish444, manufacturer of the professional video industry’s highest-quality uncompressed 4K SDI, ASI, Video Over IP & HDMI I/O cards and mini converters, announces the new KRONOS K8 video I/O card will be available in Q2, 2019. The K8 supports eight independent channels for 2K/HD/SD and multi-channel 4K, high dynamic range and high frame-rate workflows, with eight 3G-capable HD-BNC connectors, four bypass relays, four internal keyers, and the same 12-bit processing that drives every Bluefish444 I/O card, to ensure maximum video quality. Optional auxiliary connections can be added to the KRONOS K8, allowing unparalleled flexibility of digital and analogue audio, linear time code and RS-422 I/O. The features of K8 make it the ideal card for all areas of media and entertainment requiring the reliability and flexibility of SDI video I/O. Post-production, broadcast graphics, live production, live events, IMF/DCP quality assurance for SDR and HDR, multi-channel display, archive and restoration, and virtual or augmented reality workflows all benefit from KRONOS K8. Industry developer partners are already adopting the Bluefish444 KRONOS range via pre-production hardware and the Bluefish444 Software Development Kit. Over the coming months the KRONOS range will see further adoption of industry-standard, third-party applications already supported by the Epoch range, including software from Avid, Adobe, Marquise Technologies, Vizrt, Brainstorm, Medialooks, plus many more. The K8 will come bundled free with IngeSTore software for multi-channel capture and the Bluefish444 SDK for developers wanting to integrate with KRONOS. 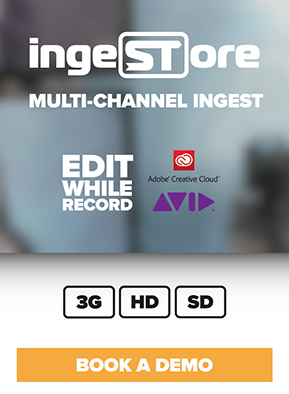 The forthcoming Bluefish444 software, IngeSTream, will also be bundled with K8 for multi-channel streaming to SMPTE 2022/2110, RTP and NewTek NDIⓇ protocols. 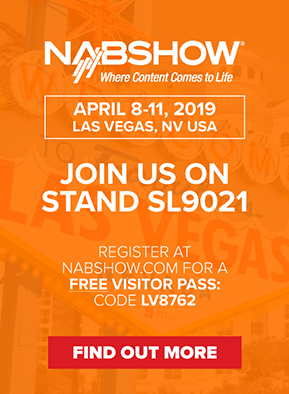 Bluefish444 will be demonstrating the KRONOS range flagship Elektron and Optikos video I/O cards on stand SL9021 at NAB Show 2019, with a variety of partner software including Drastic Technologies, Avid, Adobe and Marquise Technologies.